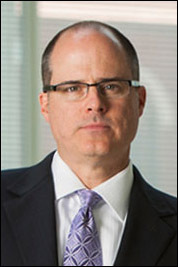 Phillip Linder was born and raised in Dallas, Texas and has extensive ties to the legal community. His family has been involved in the legal community and criminal justice system in the North Texas area for over 45 years. Phillip has been a trial lawyer in both criminal law and family law cases for more than 20 years. Phillip started his trial career in the Dallas County District Attorney’s office in 1992. He quickly rose through the ranks of misdemeanor and felony and was eventually moved into the Organized Crime Section, which handles and tries large drug conspiracy cases. During his three and a half years in the Dallas County District Attorney’s Office, he handled thousands of cases and tried over 100 cases to jury verdict. Since leaving the District Attorney’s Office, he has handled thousands of cases in both Criminal law and Family Law and tried over 100 of those cases to jury verdict. He is Board Certified as a Criminal Trial Specialist by the Texas Board of Legal Specialization and is one of a very small number of lawyers approved in North Texas to handle Capital Murder cases. Phillip has handled several Capital Murder cases; one of his recent capital murder trials was recently filmed for The First 48 docu-drama on A&E. In addition to being licensed in the State of Texas, he is also admitted to practice in all four of the federal districts in Texas as well as in front of the Federal Fifth Circuit Court of Appeals. He has also been admitted to and handled large federal cases in Oklahoma, Kansas, Arkansas, New Mexico and Alabama. Phillip’s finance and accounting degrees and experience in business makes him infinitely qualified to handle both white-collar business fraud cases in both state and federal court as well as complex property distribution issues in family court. He has represented executives from several large corporations, defending them against fraud and corruption allegations. He has also represented other lawyers, doctors and professional athletes in both the criminal defense arena and the family law arena. Many of the criminal defense cases were dismissed before ever reaching the trial phase as a result of Phillip’s intelligent and aggressive representation. Phillip’s reputation among his peers is such that he was appointed to the Board of the Dallas County Criminal Defense Lawyers Association in 1997 and was later elected to and served as President in 2004. Phillip was also nominated as a “Fellow” in the Texas Bar Foundation by his peers in the family law Bar Association. Phillip is A.V. rated as “Preeminent” by Martindale-Hubbell, rated as “Superior” by AVVO and appeared in the D Magazine Best Lawyers in Texas edition in 2011. In 2012 he was also rated and listed in the list of Texas Super Lawyers. In addition to his criminal and family law trial qualifications, Phillip has always been concerned about quality representation of the clients, by other local lawyers. Over the years, he has both investigated and represented lawyers, charged with poor representation of their clients, before the State Bar. He has also lectured at local Bar Association meetings around the state about the effective representation of one’s clients and the disciplinary process. In 2007 Phillip was appointed to the Board. In 2009, he was elected as Chairman of the Dallas Area Committee for Lawyer Discipline that investigates and prosecutes attorneys who do not represent their clients effectively.